First class food and wines are presented with elegance and a sense of pride. All dietary requirements are catered for with style and dedication to quality. Pamper your taste buds with fine foods and great wines. 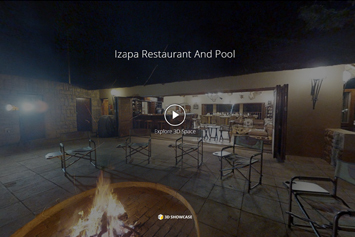 Delicious food and elegantly presented, this is an essential part of the iZapa experience. Every meal is unexpectedly original. From signature omelettes, to design-your-own salads or picnics for lunch and superb dinners. Your taste for fine food is always indulged, and complemented by an extensive selection of great wines.